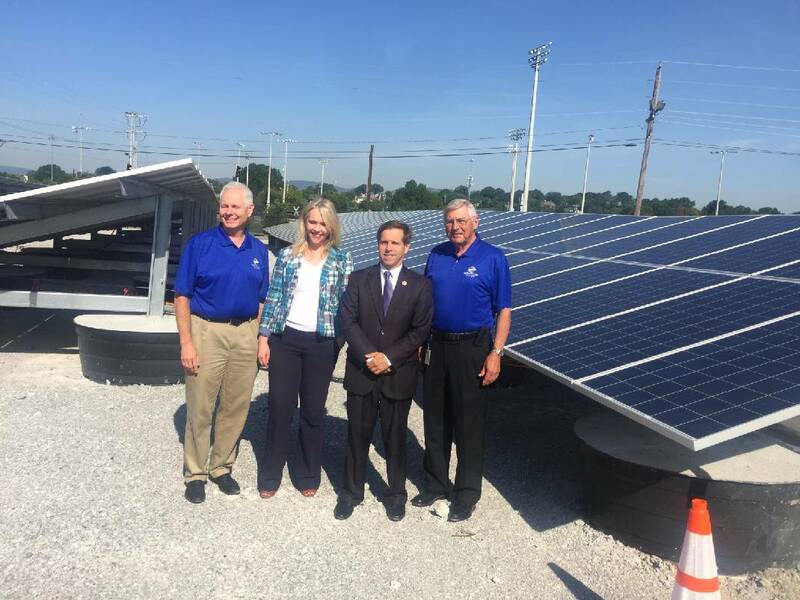 EPB president David Wade, TVA Director of Business Development and Renewables Tammy Bramlett, U.S. Rep. Chuck Fleischmann, R-Tenn., and EPB Chairman Joe Ferguson stand in front of new solar generation facility at Oak and Greenwood in Chattanooga. Former TVA board chairman S. David Freeman. A former chairman of the Tennessee Valley Authority claims the current leadership of the federal utility is abandoning TVA's pioneering role in promoting solar power and other renewable energy sources in favor of helping big industry and the municipalities and power co-ops that distribute TVA's power. "They've stolen my TVA, and at 91 years old, I am determined to fight for the TVA I love," said S. David Freeman, a Chattanooga native and engineer who was appointed by President Jimmy Carter to head TVA in 1977. "We were once the leaders in the country in solar power and energy efficiency and my friend, Sen. Howard Baker, labeled TVA "a living laboratory." Well, a bunch of people have stolen TVA and broken my heart." Freeman joined a coalition of leaders from across the political spectrum Wednesday in questioning how TVA is developing a new rate plan solar power backers fear will hurt the development of solar, wind and other distributed energy production by consumers in the Valley. Debbie Dooley, a tea party supporter who heads Conservatives for Energy Freedom, said TVA needs to give up its requirement that municipalities and co-ops buy electricity only from TVA and allow such distributors and other customers of TVA to buy and sell power from other power suppliers, including community- owned solar projects popular in other states. "TVA needs to be reined in and restructured," Dooley said during a news conference in Nashville organized by Tennesseans for Solar Choice. "TVA is an outdated, federally- sanctioned monopoly, that appears to be working against consumer choice and energy freedom via regressive policies and 'self regulation' — a structure that is laughable at best and gravely concerning at worst." TVA is meeting with the major industries and power distributors that buy its power to develop a new rate structure next year that utility officials say will better reflect the true cost of power. TVA spokesman Scott Brooks said "it's very early in the process for the new pricing structure" and TVA's staff and board will incorporate feedback on any plan when it is developed by next March, in time to be implemented by Oct. 1, 2018. But Brooks said any rate restructuring "is expected to have minimal impacts" for local power companies that distribute TVA. "The change is in the pricing structure, not the rates," Brooks said. "The idea is to be revenue- neutral for TVA, meaning we don't collect extra funds from this process. We are changing how we calculate rates to better reflect energy costs." Brooks said TVA is reducing the premium paid for renewable energy "to make sure demand for energy sources like solar and wind aren't paid for on the backs of people who don't want them, including lower income consumers." Tammy Bramlett, TVA's director of business development and renewables, talks about the community solar project TVA helped EPB build in Chattanooga along Holtzclaw Avenue. TVA continues to promote community solar projects, including the $2 million of grants TVA gave EPB in Chattanooga and Appalachian Electric Cooperative in New Market, Tenn., last year for distributor-owned community solar projects. TVA paid $1.1 million of the $1.8 million Solar Share project EPB erected with more than 4,400 solar panels along Holtzclaw Avenue in Chattanooga. TVA also is purchasing power from large scale solar projects in Millington, Tenn. and near Huntsville, Ala., and plans to install its own 1 megawatt solar project at the Allen power plant in Memphis. Tammy Bramlett, TVA's director of business development and renewables, insists that "TVA is a strong proponent of solar" and "we are adding more solar all the time." Brooks said "there is nothing that stops anyone from putting solar on their home or business," but TVA has been gradually cutting the prices paid for solar and wind as the cost of such generation has come down. "It's all about choice —the opposite of a monopoly," he said. But backers of solar power insist a growing number of consumers want the choice of getting their electricity entirely from renewable sources. "We believe we have an enormous opportunity to deploy renewable energy as a valuable tool to enhance Tennessee's ability to recruit— and retain and expand — the more than 100 companies that have already pledged to be 100 percent renewable by the year 2025," said Matt Beasley, president of Tennessee Solar Energy Industries Association. TVA critics also complain that consumers in the Tennessee Valley can't buy from or sell to other electricity users except through TVA. The municipalities and co-ops in the Tennessee Valley also have contracts with TVA that require them to purchase all of their electricity from TVA, barring them from buying solar from independent solar farms and community solar projects or neighboring utilities. Greg Williamson, general manager of Appalachian Electric Coop and chairman of the Tennessee Valley Public Power Association, said the 154 municipalities and co-ops that buy TVA power want to make sure that their costs of serving each home and business is covered in their rates. To do so, Williamson and others have urged TVA to allow distributors to have higher fixed, or minimum charges, to cover the expense of supplying power to each customer. Such a change would help local power companies cover their costs of power lines and meters, but it could limit the savings for those who opt to generate their own power with solar panels or wind mills and need to buy less TVA power. Dooley said TVA needs to give up its monopoly over the sale of all electricity within its seven-state region, blasting TVA as "an almighty centralized bureaucracy that doesn't care about the consumer." 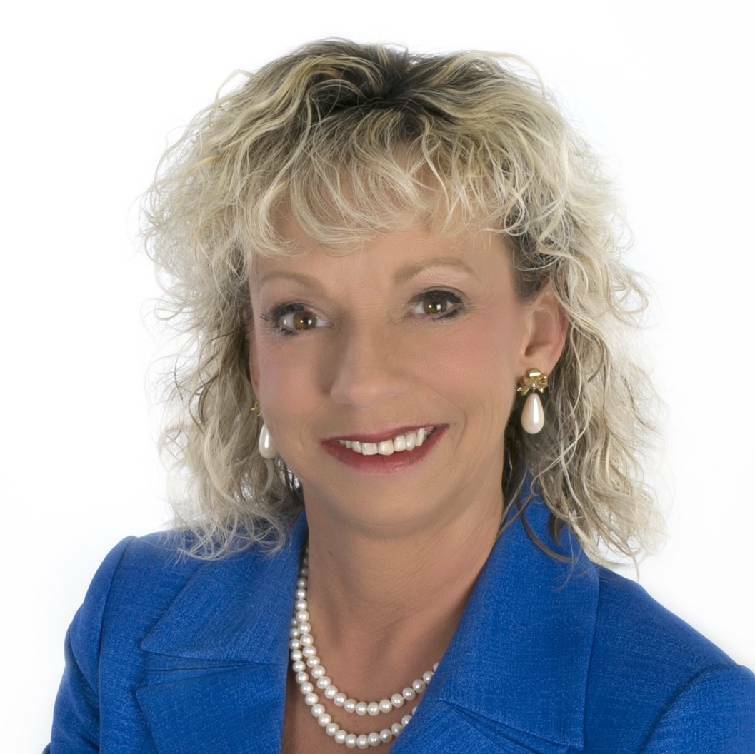 Dooley vowed to fight against TVA if it continues to limit where consumers can purchase power. At the other end of the political spectrum, Jimmie Garland, a vice president for the Tennessee State Conference NAACP, blasted TVA for making decisions "behind closed doors and instead giving that power to the people. "It is crucial that we support fair access to clean, affordable, healthy solar energy, and that we oppose discriminatory fixed charges that hurt people across the Valley," he said. The Coalition for Solar Choice was organized by the Southern Alliance for Clean Energy, a Knoxville-based environmental group. The group's executive director, Dr. Stephen Smith, said the coalition is working to urge TVA as a self-regulated government monopoly "not to make decisions that limit customer choice for residents, businesses and power companies with unfair rate structures or heavy handed tactics that restrict the solar power market." Unlike other major, multi-state utility companies, TVA can set its electric rates with no regulatory oversight by outside entities, such as a utility regulatory commission. Any change in TVA rates would require approval of TVA's governing board, which is appointed by the president and confirmed by the U.S. senate. But Smith complained that TVA is not developing the new rates in an open process and said he fears a bigger share of power costs will be shifted to fixed or minimum charges, rather than the charges for the amount of power actually consumed. Smith said the minimum or fixed rate portion of power bills have been increased by local power companies in the Tennessee Valley even while the overall average cost of power has declined about 2 percent since 2013. In the past five years, the mandatory minimum payments for residential customers have increased by $2 from $7.36 to $9.36 at Chattanooga's EPB, by $5.07 at Nashville Electric Service from $13.43 to $18.50 and by $5.50 a month at Knoxville Utilities Board from $13.43 to $18.50. Smith said major industries have been the biggest beneficiaries of the change and the higher fixed costs for electric service threaten to negate some of the advantages of self-generated solar power. Although TVA has increased the share of its power from the sun, Smith said Tennessee has only a fraction of the solar power generation that other utilities are getting in Georgia, North Carolina and Florida. Jacksonville Energy Authority in northeast Florida, for instance, has less than 5 percent as many electricity users as TVA but by 2020 should have at least 300 megawatts of solar power generation, or three-fourths as much solar generation as what TVA gets across its seven-state region. "Tennessee is falling behind our neighboring states in growing the solar market and now TVA's secret rate changes appear directed to add more market barriers," Smith said. This story was updated Nov. 8 at 10:45 p.m. with more information.